Last week, I think, is a ‘Spirituality Week’ for me (in the sense that I found myself talking about spiritual matters with a few different people individually, and then with a few people in a group at the end of the week). I came across a colleague of mine reading a book during one of our free(er) moments in the day. And knowing me, I just had to stop and see the cover of the book and perhaps interest him into talking about it with me. (talking about books is the next best thing to actually reading it, lol). Turns out that it was a book on Christianity. And since I have always thought that he was a Buddhist, I was interested to know why he was reading that book. He told me that he was interested to know about other religions. So naturally, I told him that I had read on comparative religion when I was at the uni. I told him that I have come across Karen Armstrong’s History of God. That I have read Richard Dawkins’ The God Delusions. That I attended Christian Awareness Week being held every year at the uni for the purpose of learning about Christianity and how it compared to Islam. I listened to videos by Muslim preachers, Christian Preachers, Richard Dawkins. I read on Theory Of Evolution and I also read The Evolution Deceit. I never thought I could have such satisfying conversation like that with a fellow colleague. Colleagues are people we endure small talk and work-related jokes and discussion with; not so much discussion on personal faith and belief. I have my own set of friends for that sort of thing. This just shows that you can find a searching soul at the least expected places. A soul in search for the truth can be one of the most beautiful thing one can ever stumbled upon in one’s life. It inspires us to never take spirituality for granted. People are always searching for it, knowingly or unknowingly. Some never attain it. I wish him luck in his quest. Last week I had a conference in KL (ASCAPAP/MCPM). On the way there, I dropped by my elder sister’s workplace in Tanjung Malim and we went for lunch. And my Kak Long suddenly brought up existential topic like nobody’s business. With my elder sister, it is not surprising. Talking about things like that pass as a light topic between the two of us. It is mind stimulating, deep, thoughtful and challenging. Why do you know what you know? She asked. Why can’t God be more than one? How do you answer that question if asked? How do you know that everything that was taught to you is indeed the truth? Now, most traditional people would be horrified by such questions. My parents certainly never answered those questions to my satisfaction. Neither the ustazah or whatever naqibah I ever had. I find those questions stimulating and very intelligent! Just the sort of thing I expected my brilliant sister to ask. She had been a best student all her life. She is BOTH scientific and artsy. A statistician with a scientific mind, and a novelist with a philosopher’s soul. When it comes to matters of existentialism, the only difference between me and my sister is that I asked those questions and found the answers earlier in life because of something I had to go through at 18. (An ex-classmate of mine passed away suddenly. At 18 when life seems like an embodiment of immortality, that was like being rudely woken up after being doused in iced cold water, leaving me shivering, confused and afraid). Most people DO have those questions in their head, on and off, for the rest of their lives. Whether or not they ignore and suppress them or actually struggle to find the answers depends on the type of personality and the intellectual background the person has. I am the sort who has to find the answers to questions that are bugging me. And I want answers that satisfy me to the point that I can accept it as the most logical, natural self-evident truth. In other words, unshakeable confidence was what I was looking for. I found the answers after researching the topic in my free time between the age of 18 to 22. When you want answers, and you go through the intellectual journey of finding them, you will get the answers. But if you have questions and then you never bothered to answer them (because it’s time-consuming, it’s a busy life after all) then you will struggle with them, on and off, for the rest of your life. When you follow the traditional course of “Just swallow, never questions,” no truth will ever truly ‘settle’ inside the sanctum sanctorum of your heart. Your faith will always be ‘not quite there’. Doubts will assail you at the slightest prod and provocation. For someone like me, I can never live without absolute certainty in something as important as whether or not God really exists. After all, that’s our purpose in life. Our life is about finding God, and after finding Him, being closer and closer to Him to the best of our ability, for the rest of our lives. That’s why those questions will keep on bugging you every now and then until you settle them once and for all. It’s our instinct prodding us to continue our search until we attain unshakeable belief. Until I can say more than “because that’s my faith’, I cannot rest easy. I believe, you should be able to explain your faith based on facts and logic. Just saying ‘that’s my belief’ just don’t cut it for me. And it shouldn’t be for anyone. This was what I told my sister. I told her that Allah himself asks us to use our brain. “Afala tatafakkarun” (Tidakkah kamu berfikir?). He asks us to falsify the Quran if we are not convinced. (now, falsification/nullification is a mathematic and scientific process which appeals to a mathematician). Faith is not a passive process. It is our inherent fault in the society when we taught religion passively to our kids. They end up not really understanding what they claim they understand. And they feel unsafe to voice out their doubts because they can feel that it is discouraged (like it was an act of blasphemy) to ask sincerely for explanation. I told her that finding God has a process to it that I went through and I had benefitted greatly from it, Alhamdulillah. Ask yourself whether you think God exists? Why or why not? (This is when you have to read The Evolution Theory, Richard Dawkins’ The God Delusions. This is when you also have to listen to videos and debates between an atheist and a theist. This is when you come across the philosophical aspect of existentialism. This is also when you read the scientific aspect of why it is not feasible for the world to come about by chance). Unfortunately, there is a lot of reading and videos to go through. After all, IT IS an intellectual adventure, so you can’t expect easy answers! Nope, there is no short-cut. People can tell you their own personal experience of how they come to have belief. But you have to go through the journey yourself. Once you have decided that God does exist,you have to ask yourself, whether He will let us do whatever we like and just leave us to our own devices? Is he just amusing himself with the creations without any purpose? Does that fit your concept of God? Or do you think he would have sent us rules and guidance to help us govern our lives in a way He wants us to? If you believe our God is a frivolous God who is only amusing himself and simply let us do whatever we like, then your search ends here. Go ahead and do whatever you want, believing in a Creator that would not hold you accountable for anything you do in this life. Your search will end here; where you believe there is a Creator, but the impact that belief has on your life is minuscule and immaterial to how you live your life. But if you believe that God would not have created us for nothing, that there ARE rules and morals and ethics that have been set out, then the search begins all over again. List every religion in the world and read on them one by one. Islam, Judaism, Christianity, Hinduism, Buddhism, Bahai’i, Paganism, Wicca etc etc. Ideally, you can read on those religions one by one. And cross off your list systematically. I had a short-cut here. I didn’t investigate man-made religion at all. I crossed off Wicca, Scientology, Paganism, Bahai’i and all modern man-made religion from the very beginning. Because if it’s man-made, then it would not be a true religion based on divine messages. I crossed off Hinduism because my background made me pretty convinced that God is not worshipped through idols made of stones of different shapes. Some people believe that, and I respect that. But I just find it difficult, personally, to have intercession (perantaraan) between me and God. I believe, you can call to God directly. I also did not investigate Buddhism. Because Buddha was not God. Buddhism is just a nice way of living. But it is not about God from the outset. So, I crossed it off from the get-go. That left me with Islam, Judaism and Christianity. My search on Judaism told me that they don’t preach or seek to convert others. I never attended Judaism Awareness Week at the Uni because the Jews never organised it. They don’t trouble themselves to get people to ‘find the right path’ in Judaism. Judaism is really just for the Jews. Almost exclusively so, I might add. In fact, based on my conversation with a Jew that I came across in an interfaith dialogue organised by the Uni, they seemed to discourage conversion by saying, “It’s difficult for outsiders to convert to Judaism. There are so many rituals that they have to go through. We neither encourage nor discourage conversion.” (which is a direct opposition to what Muslims and Christians would say. We always strive to entice people into the religion because we believe we have the right one and we want people to be in heaven like us and so on and so forth). So, I crossed off Judaism because I believed God is not selective and He would be fair. He would not favour only one particular race. But having said that, the Jew that I talked to may only represent a minority of them in the religion. Maybe the real Rabbi would have tried harder to convert me. But again, I have never heard of any Jew actively doing dakwah and promoting their religion to others, have you? It seemed to be the general way of the religion. Now, all that was left were Christianity and Islam. I had an advantage in that I already knew a lot of things about Islam and I have practiced it all my life. All I was aiming for was the strengthening of my faith. So that I could tell for sure to myself that I have investigated on other religions. That I’ve made an educated choice. That my faith is not just a hereditary one. Does that make sense? 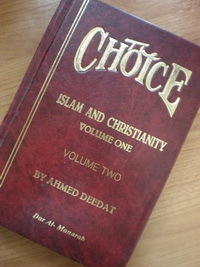 I compared Christianity and Islam using the book The Choice by Ahmed Deedat. And I also listened to videos by Yusha Evans ‘My Journey to Islam’ (it’s in You Tube). It basically convinced me, beyond reasonable doubt, that Islam is the one true religion, asking me to worship the one true God as my purpose of life. I learned things in Christianity that I never really knew before. I had trouble with the concept of the Trinity (the fact that there was no such a concept prior to the Council Of Nicea). I didn’t understand why Jesus had to die for our sins when God could just forgive us if He wants to without anyone having to die. And if Jesus was God, how could he die? And I also could not get over the injustice of the Original Sin. Things like that. Then, I started listening to Nouman Ali Khan videos about the scientific and literary marvel of the Quran. I started devouring Harun Yahya’s books. Everything just clicked into place. And that was how my intellectual and spiritual journey began and still ongoing. if you actually go through the journey yourself, you will notice that the hardest part is the first step. Once you are convinced that there MUST be a God, Islam becomes almost the natural choice after studied through every other religion. The problem with our society is that they are afraid that if their youngsters ask these questions, the youngsters will be led astray and end up murtad. My mom saw the bible I brought from Australia which I placed side by side with my other religious books on the top shelf, and the next day I noticed she placed it at the bottom shelf along with my fiction books. (Haha. I let her have her way. Didn’t want to exacerbate her anxiety). They were so afraid of the slightest indication or symptoms of apostasy but they never tried to tackle the root cause of it. It’s like treating the abdominal pain without removing the gastric cancer. The cancer I meant here is intellectual thirst! You cannot simply brush off legit questions asked by your kids or your students because a)you are not sure yourself, b)you are afraid their quest for the truth will end up in apostasy. Usually, it is the other way around. When you discourage them from asking legit questions, that’s when they will be led astray and apostasy happens. In fact, those who ask questions end up finding Islam or if they are already Muslims, having their faith strengthened. I ended the one hour and a half lunch with my sister by encouraging her to go on researching on the questions. After all, my nephew and niece, inheriting their mother’s intelligence gene insya-Allah, will surely ask her just exactly the same questions. I came back from ASCAPAP/MCPM and came across another colleague with whom we talked about instinct,spirituality and religion. She was of the opinion that spirituality has nothing to do with religion. I only partially agreed with her. I told her that “Yes, sometimes religion only emphasise on the ritual and ignoring the spiritual aspect of it.” And what I meant by spiritual aspect is the intellectual aspect of it (the reason, the why, the wonder behind all these). “But for those whose spirituality is deeply connected to the religion, ignoring religious rules will cause them to experience spiritual void. For them, spirituality and religion is connected and they can’t say ‘I am spiritual even though I ignore the rules in my religion’ It doesn’t jibe. ” I continued. To me, yes, you can be spiritual but NOT YET religious. But being spiritual naturally will ease your way into being more religious and makes you want to perform the rituals because you know why you do what you do. So in that sense, spirituality and religiosity strengthen one another. Which is exactly what it is supposed to be doing in the first place. The next day, a group of us suddenly found ourselves talking about comparative religion as a group. At that time, it was just the three of us (2 master students and me) talking about our daily tasks. Suddenly the same colleague who I mentioned was reading on Christianity asked me about my study on comparative religion during my younger days at the uni. So, we got into discussing the theories again. And then a few other MOs joined in. One of them said “I don’t really believe in anything.” And I respect that. It doesn’t mean he never will. Our journey begins or ends or pauses at different stage and different pace, after all. One said, “I think faith is personal between you and God,” Yup, that might be true. I respect that it was true for him. But just because it is personal between you and God, does not mean a bunch of us shouldn’t discuss and talk about it whenever we feel like it. It’s not like there was any compulsion or forced conversion or disrespect going on with the discussion (even though it could turn into that, if you lack the quality of tolerance and respect). Some people talk about their personal belief because they find it more stimulating than talking about the latest gossip or the latest gadget or just random small talk (that bores me silly). Don’t blame me for appearing uninterested for cutting a conversation short if I find anyone is too frivolous or too light-hearted for my taste. My boredom threshold is pretty low. 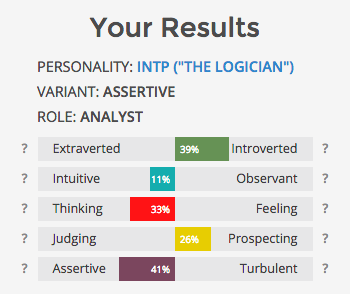 When I am not interested, it shows. I just simply don’t respond and end the conversation quickly. I always prefer a conversation with substance. And what can be more substantial than talking about the existence of God, agree?